What happens to my pet when I move into aged care? Or hospital? Pets often become a very beloved family member of the elderly. Often, they are the only ‘family’ someone has in the city in which they live. The distress of needing to be hospitalized or moved into residential aged care is heightened by thinking that their pet may not be getting cared for, or may be left at home alone – unfed. Sometimes this thought is more distressing than the act of being hospitalized. 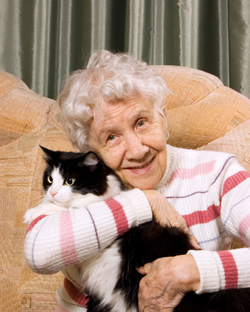 All Steps Aged Care may be able to help you find an aged care facility that allows you to bring your pet. These facilities are few and far between and they will only accept small animals (and more often, birds). Chances are you may not be able to bring your pet, but it doesn’t hurt to ask, right? Some facilities also have their own resident pets. A few on the Gold Coast have cats, quite a few have birds, and occasionally your own pet may be able to come in and visit you in your new home. For those that have to leave their pet behind, the Animal Welfare League QLD (AWLQ) has started the phenomenal Golden Hearts – Seniors Pet Support Program. If an elderly member is in an emergency situation their pet will be well cared for, short-term fostered out till it can return home to its owner, or adopted out free of charge if the owner can no longer care for it. Just imagine the peace of mind this would give to someone in an already stressful situation. If you are 65 or older you can join this program for free. You will receive access to services exclusive to Golden Hearts, including their seniors adoption program, short-term emergency pet foster care, support for seniors moving into aged-care and access their Legacy Pets program. You’ll also receive 50% off annual vaccinations (excludes heartworm) at their AWLQ Community Vet Clinics. This service has Ita Buttrose as its ambassador, it’s well-regarded by All Steps Aged Care, and it’s something maybe YOU should be looking into…. Yesterday I had the great pleasure of being the guest speaker on the radio station 4CRB’s talk-back program ‘Finance Forum’. For half an hour I was allowed to indulge in my passion of chatting about aged care issues, and answering questions on air. The more information future aged care residents and their families have, the better prepared people can be for their move, and the smoother their transition will be. I often present information to small and medium-sized groups on and around the Gold Coast, but what a treat to be able to share advice on the Coast’s number 1 radio station for listeners 45 years and over. Follow this link to view ABC TV’s Catalyst’s program “Music On The Brain – (Tuesday 8 March, 2016). 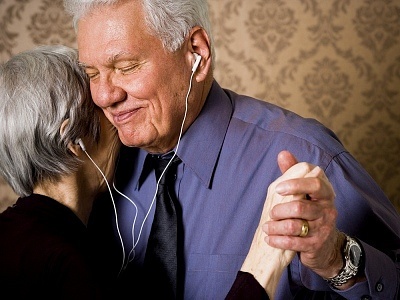 It’s an incredibly touching and poignant story on how making a ‘life soundtrack’ for a loved one with dementia or Parkinson’s disease may greatly benefit from listening to songs and music that capture important moments from their life. It shows the clarity of mind of some dementia residents, and the freeing up of the body enabling movement for sufferers of Parkinson’s whilst listening to the music. If you have a loved one in aged care, or who may be moving down the path of dementia or Parkinson’s disease now may be a good time to work together with them to come up with a number of meaningful songs. Music is such an integral part of everyone’s life, why not start thinking of your own Life Playlist? © All Steps Aged Care 2016. All Rights Reserved. All Steps Aged Care is an independent Gold Coast business specialising in finding the best aged care options for our community. 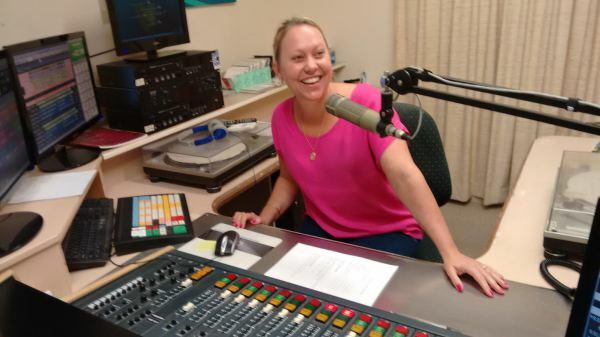 Kirsty is a regular aged care presenter on 4CRB and Logan 101FM and brings her wealth of information and empathy when guiding clients through this stressful journey. Thanks to the Department of Communities, Child Safety and Disability Services for their funding for these infor-mation sessions, and to COTA for their ongoing support. "DIY - moving a loved one into aged care yourself"